Searching for Window a window cleaner in Fliwick Bedfordshire, Want crystal clear results every time? At RGB we combine modern cleaning methods with a prompt, personal and professional service. We recognise the importance of communication and punctuality to fit around your busy lifestyle – ensuring that all of our customers receive a text message 24 hours before our next visit. Our window cleaners promise flexibility and reliability – as well as a friendly, personal service. We know that window cleaning is not purely a matter of glass – that’s why we thoroughly clean all window frames as doors as standard. No hidden extras, just top quality cleaning. Besides the modern technology use, RGB cleaning has tradition at heart. We are fully flexible and equipped to utilise traditional window cleaning techniques. Our aim is to give you the best service at your convenience. We are experienced in the cleaning of shop fronts, commercial properties and internal window cleans. There is no job too big or too small – and no customer too ‘picky’. Perfection is our practice! Again, we don’t just work with windows! We also have experiencing in keeping your conservatory roof sparkling clean – this ensures that your conservatory is fit for purpose all year around: preventing problems such as water marks, pollution and problem flooding in the rainier months. RGB cleaning also offers the cleaning and refurbishment of UPVC on both domestic and commercial properties. We have the equipment to ensure that your gutters, soffits, solar panels, fascias and signage will be looking cleaner and brighter than ever. From start to finish, RGB will provide you with a complete roof cleaning service. We have the equipment to build a tower in order to gain safe and swift access to the roof. Once on the roof, we will begin by removing any existing moss. We find that moss is one of the most common problems on roof-tops, and have the tools to remove it quickly and without damaging the roof itself. Once the moss and debris are fully cleared from the roof-top, we will begin our soft-wash process. The aim of a soft-wash is to have the roof looking as new whilst still protecting the surface. Some companies offer a power-washing service in order to get your roof top clean, but it is our experience that, whilst the surface may appear as good as new, power-washing can actually damage the roof-top. This is why we offer a soft-wash, which provides a thorough and safe clean, to get your roof back to brilliance. Searching for Window Cleaning Befordshire? Want crystal clear results every time? At RGB we combine modern cleaning methods with a prompt, personal and professional service. We recognise the importance of communication and punctuality to fit around your busy lifestyle – ensuring that all of our customers receive a text message 24 hours before our next visit. Our window cleaners promise flexibility and reliability – as well as a friendly, personal service. RGB cleaning provides professional Roof Cleaning Bedfordshire we can safely clean your roof without destroying it using the latest softwash equipment. Please feel free to get in touch for a no obligation quote. RGB cleaning provides professional Roof Cleaning Milton Keynes using the latest softwash technology we can get your roof looking clean again!! Please feel free to get in touch for a no obligation quote and survey. Trust A Trader approved RGB cleaning carries out professional roof cleaning in Bedford, our fail safe softwash method ensures your roof regains its looks without being damaged buy pressure washing. 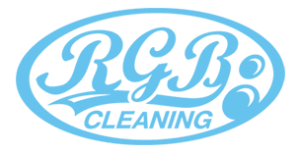 RGB cleaning provide a professional window cleaning service to Wootton In Bedfordshire, we offer a monthly or Bi monthly service, we use the latest technology combined with hot water to deliver outstanding results. RGB cleaning provide a professional roof cleaning service, we use the latest soft wash technology to clean your roof gently without the need to blast it with high pressure.